Civilian Restoration Corps is our national plan. “The Swords to Plowshares Act” is to be enacted in the future following the successes & hindsights of C.R.C. in order to implement the same programs internationally via training the U.S. military to create sustainable infrastructures rather than strictly commercial infrastructures. By teaching from accurate history books which take into account multiple cultures with regional relevance, archaeological record, and civil rights, animosity between subgroups & demographics should naturally subside through the installation of knowledge, reason, & solution-oriented thinking. 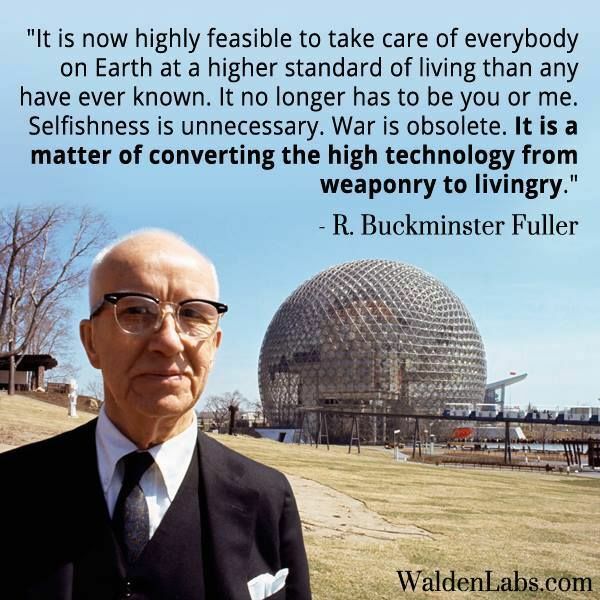 A very special thank you to WaldenLabs.com for assembling the above commemorative graphic of Buckminster Fuller that we’re using under Fair Use.